Wow. It sure has been a long time since we sent one of these, hasn’t it? How long? Well, since 2013 when a technical problem interrupted our E-mail Newsletter system. Fixing it was added to our rather sizeable ToDo list (you have one of those, yes?) and work carried on. Well, here we are in the final month of 2014 and we finally got a Round-To-It and the system is back up and running. Now, granted, it has been a long time, but, still … why now? What is it about today that makes it so important to have things working again? Simply put – we’re still here, still working, and we need your help with a very special annual project. As we all know, life can sometimes be overwhelming, and, for some of us, life with a family member on the Spectrum can add an enormous financial strain as well. To help ease that burden at the holidays, every year since 2007, ARROAutism has been raising money for our Family Holiday Assistance Project. This project works with county developmental disabilities case managers to identify families in need. 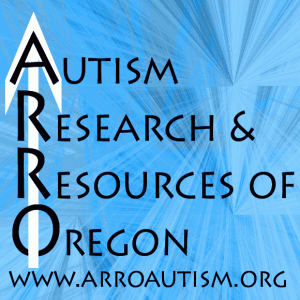 ARROAutism then provides selected families with two gift cards; one from Fred Meyer’s to allow a variety of purchases, and one from New Seasons Markets to allow the purchase of quality holiday foods. I was so filled with gratitude for the kindness and thoughtfulness for the people who support the families with children with Autism like this. It was such an unexpected and beautiful gift, and one that was much needed. I am so grateful. What a gift! – T.M. And that’s where you come in. With your help, we can help even more families this holiday season. So, please, join us today, and let’s see just how many families we can help. Any conversation about the Family Holiday Assistance Project this year should give ample credit to Monsters of Rock 2014. With their help, this year we were able to raise $2660 towards this year’s Family Holiday Assitance Project. 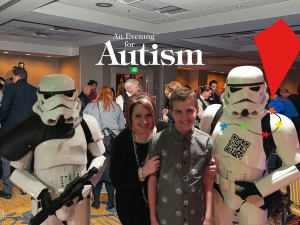 Another big boost to fundraising this year was from the second annual Evening for Autism that raised money for ARROAutism’s general fund; some of which will be used for this year’s Family Holiday Assistance Project. Finally, also helping us again this year is the Autism Society of Oregon with a generous contribution that will match up to a certain amount of what we raise here – potentially doubling your donation! With such great partners, we’ve made a great start. Now it’s your turn. With your help, we can make a real difference to local Autism families in need during the holidays.